Indonesia is a country which is rich in biodiversity. It is estimated that there are more than 300,000 wildlife species or 17% of the world wildlife live in Indonesia, even though Indonesia's land is only 1.3% of the world's land. Indonesia has the most mammals in the world (515 species) and is inhabited by 1,539 bird species. Other than that, 45% of the world fish live in Indonesia waters. Indonesia also becomes the habitat of endemic wildlife, wildlife which can only be found in Indonesia. There are 259 endemic mammals, 382 endemic birds, and 172 endemic amphibians (IUCN, 2011). The existence of the endemic species is important because if those endemic animals are extinct, it will also be extinct in the world. Despite rich in biodiversity, Indonesia is also notorious as a country which has long list of the threatened wildlife. According to IUCN, 2011; the threatened wildlife in Indonesia include 184 mammals, 119 birds, 32 reptiles, 32 amphibians, and 140 fish. There are 68 species which are critically endangered and 69 endangered species, and 517 vulnerable species. These wildlife will be eventually extinct if there is no action to save them from extinction. Deforestation is the main factor of the threatened wildlife in Indonesia because forest is the natural habitat for wildlife. In the 1950's, 84% of the land in Indonesia comprised of forests (around 162 millions hectares). Nowadays, Indonesia government state that the remaining forest in Indonesia is 138 millions hectares. However, many claim that the forest in Indonesia is less than 120 millions hectares. Forest conversion into palm oil plantation, industrial production forest, and mine becomes serious threat towards the survival of rare wildlife including orangutan, Sumatran tiger, and Sumatran elephant. Wildlife poaching happens due to forest clearance. Wildlife are considered as pests by the plantation companies causing wildlife killing in the plantation areas. Apart from habitat degradation in both quality and quantity, wildlife trade becomes another threat to wildlife in Indonesia. More than 95% of the traded wildlife in the markets are wild caught instead of captive bred. More than 20% of the traded wildlife die in vain due to inappropriate transportation and handling. Many protected and threatened wildlife are openly traded in Indonesia. The more endangered the species is, the more expensive the price. Furthermore, more than 40% of the traded wildlife die due to cruel capture, inappropriate transportation, small cages, and lack of food. Wildlife trade is cruel! 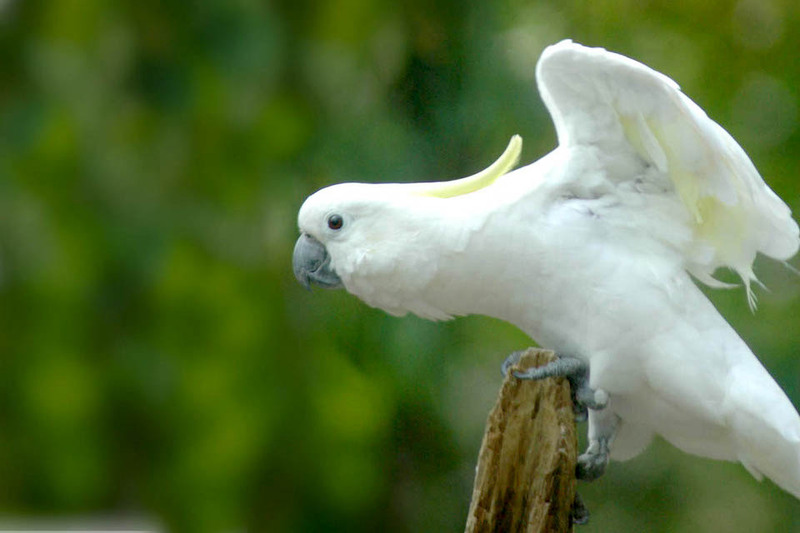 More than 60% of the traded mammals in the bird (pet/animal) markets are rare and protected by law. More than 70% primates and cockatoos kept as pets get infected by certain diseases and misbehave. Among the diseases are zoonosis which can be transmitted to humans. 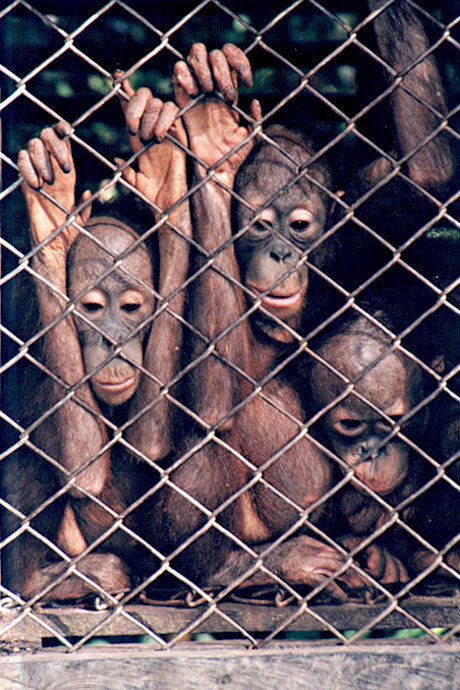 Indonesian wildlife based on the law is divided into two, the protected and the unprotected. According to the Law number 5 year 1990 concerning the Conservation of the Natural Resources and the Ecosystem, the trade of the protected wildlife is illegal and liable to a maximum of five year prison term and a 100 millions Indonesia Rupiah fine.